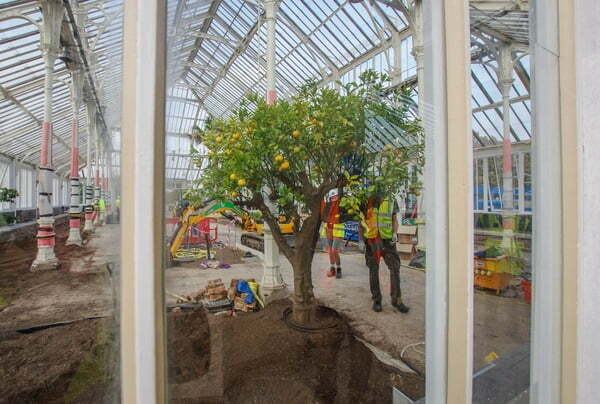 Kew Gardens’ biggest ever renovation project is nearing completion, with the Temperate House – the world’s largest Victorian glasshouse – set to re-open in May next year. This National Lottery supported five-year long project has been an immense undertaking. The entire frame-work of the building has been painstakingly repaired, and its thousands of panes of glass replaced, along with its intricate ironwork and expansive paved flooring. Around 500 plants were taken out and housed in a temporary nursery, with an incredible 10,000 going back in, many of them propagated by Kew’s leading horticulturists. 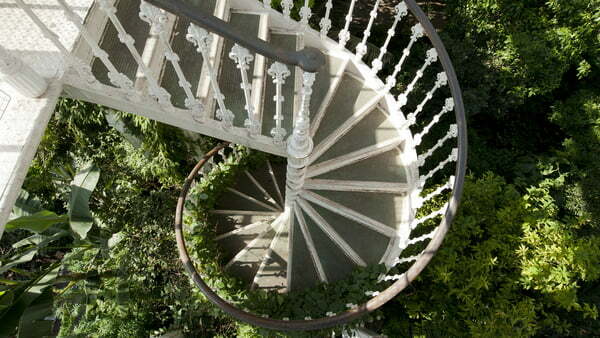 A lengthy and delicate process, it started in September and will take several months. 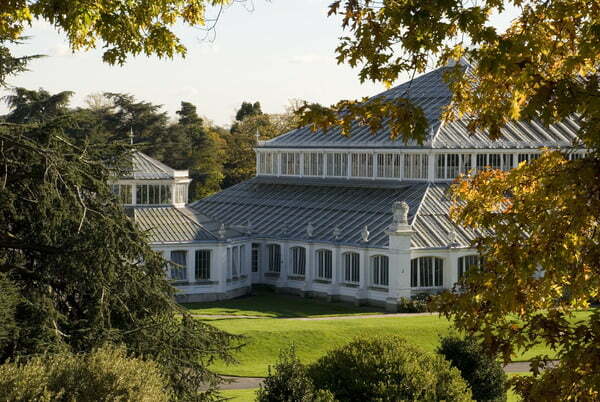 Whilst retaining its Victorian splendour, the renovated Temperate House will embody cutting edge engineering techniques making it an architectural wonder. The magnificent structure will once again be home – as it had been since its beginning in 1863 – to some of the world’s rarest and most threatened plants. There will be stories of the plants that Kew has rescued, and the journeys they have taken to reach the sanctuary of their new home. 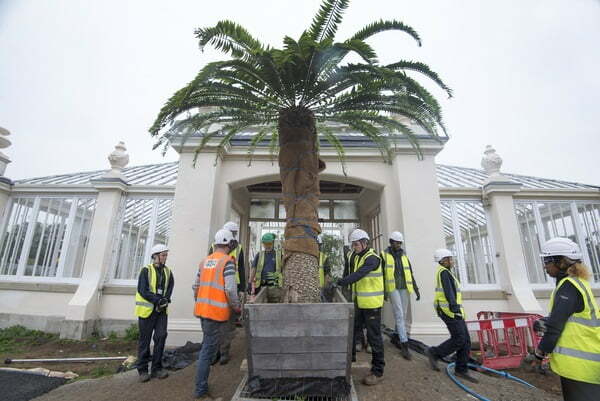 The plants in the Temperate House will be made up of 1,500 species, from temperate regions around the world – the Mediterranean, Africa, Australia, New Zealand, South and Central America, Asia, and Island floras. A visitor might find themselves in Mauritius, where they will find Dombeya mauritiana, almost extinct in the wild until Kew’s renowned ‘plant messiah’ Carlos Magdalena found one growing in the Mauritian highlands. Turn a corner, and the visitor is in Nepal, encountering Taxus wallichiana, exploited for the Taxol market (a chemotherapy drug) and now subject to a clonal propagation program to help conserve it in the wild. As part of the effort, Kew and its partners are training locals in Bonsai techniques which allows for harvesting without killing the plant itself. The Temperate House at The Royal Botanic Gardens Kew opens on 5 May 2018.